If you have taken a decision to hire the services of the relocation companies to pack the unwanted goods also, then there is nothing wrong in it. 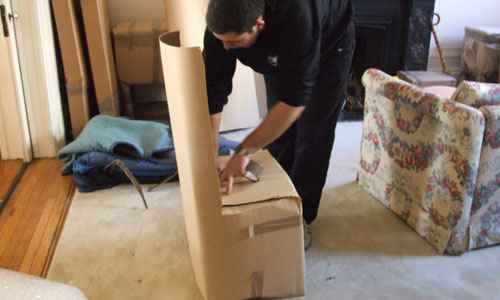 However, what is important to note here is that packing these belongings will increase the weight of the shipment and you may have to pay higher moving cost to the movers and packers service providers. Hence, if budget is not a consideration for you, then you can relocate the items through the shifting companies. Many people for the purpose of saving money decide to throw away the unused items, which is generally a wrong practice. Throwing the goods especially that have not been used for years may result in the wastage of money and nothing else. Decluttering your home and throwing those belongings is an option that is not working or are not in an excellent condition. Hence, it is altogether your choice which option you choose regarding disposing off the unwanted items but make sure that it does not results into the wastage. Furthermore, make sure that you hire movers in Bangalore that are reputable and provide you the sound advice when it comes to getting rid of the unused belongings. Good Luck for Home Shifting! Why People Nowadays Love Moving To Pune?